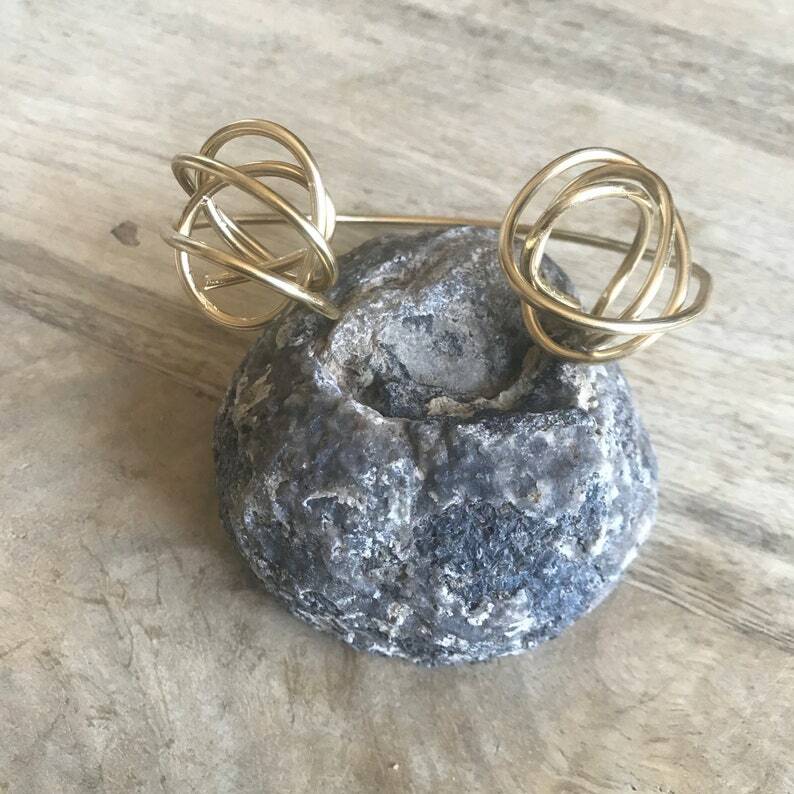 Handmade sculptural bracelet made in brass. Makes a statement without being heavy. Each bracelet is as unique as you are. Note that the wrist of the model is quite small. This should fit average or larger wrists perfectly. PLEASE NOTE: Brass oxidizes rather quickly. As it is worn, it will darken. Depending on your body's level acidity or whether you perspire regularly, you may see a green mark on your skin. This mark should easily wash off with soap and water (unless you have an allergy to brass or copper in which case please select silver). Brass can be polished with a polishing cloth or metal cleaner.